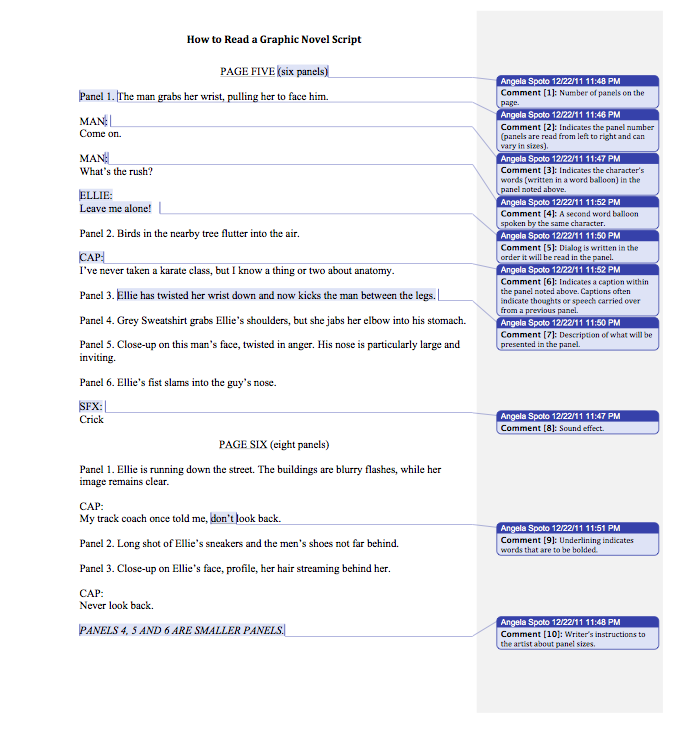 I recently finished the first draft of my graphic novel, Fusion, and created this guide to help my readers, most of whom have never seen a graphic novel script before. My script follows Dark Horses’ comic script guidelines. I found that distributing this guide to my readers has broken down some of the mysticism that surrounds comic book writing and has encouraged my readers to give me honest feedback. Enjoy!